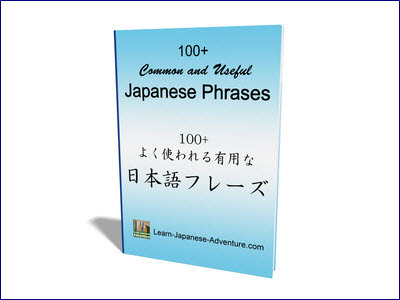 You have already learned some functions of Japanese particle de (で) in basic lesson 16. This lesson will introduce more functions of it. The first one will be to use particle de (で) to ask if something is alright. Meaning: Is Noun alright for you? Lets's look at some examples on how the Japanese particle de (で) works in this situation. Meaning: Is wearing of jeans alright for the party tomorrow? Meaning: Is 50 dollars alright for you? Meaning: Is coffee alright for you? In all the above 3 examples, Japanese particle de (で) is being used because you are not sure what the party host, your colleague and your friend wants. You use で to make your tone soft and sound not so pushy. Some students might have used particle ga (が) in the above 3 examples. 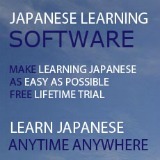 However, using が (ga) in this case has a different meaning. Meaning: I prefer this pen. In using particle ga (が), you are choosing the best choice among some options. If you use が (ga) instead of で (de) in the previous 3 examples, the meanings are different. 1. You ask the party host about the attire. Meaning: Do you prefer me to wear jeans for the party tomorrow? When you use で (de), the tone is much softer. "If jeans is not ok, I can change." 2. Your colleague wants to borrow money from you. Meaning: 50 dollars is your best choice! Do you want 50 dollars? When you use で (de), the tone turns softer. "Is 50 dollars enough for you? If it's not enough, I can lend you more." 3. You want to serve drink to your friend. Meaning: You like to have coffee! Don't you? When you use で (de), you soften your tone. "If coffee is ok for you? If not, you can have other choices."  How to answer the question with Japanese particle de (で)? How do you answer when you were asked the same questions in the above examples? In example 3, let's say it's you who were asked if you are alright with coffee. How do you answer? Meaning: Yes, coffee is ok for me. Meaning: Yes, coffee is best for me. For example, you can use で (de) to indicate what happened to Mr Yamada in his whole life. Meaning: Mr Yamada entered the university at the age of 18. Meaning: Mr Yamada graduated from the university at the age of 22. Meaning: Mr Yamada got married at the age of 28. Meaning: Mr Yamada became the company President at the age of 45. Meaning: Mr Yamada died at the age of 65. Meaning: I am going to get married at the age of 27. Lesson 14: Particle ga (が) for Introduction. Lesson 34: Particle de (で) for Cause or Reason.